The Los Angeles County District Attorneys Office, Bureau of Fraud and Corruption Prosecutions, Public Integrity Division, released a letter to the members of Las Virgenes Municipal Water Districts Board stating three board members (Directors Charles Caspary, Glen Peterson, and Lee Renger) violated the Brown Act at the January 14th 2014 meeting. The original complaint to the District Attorney was made by another board member, Director Barry Steinhardt. The DA notified Steinhardt in August, explaining their findings and specifically stating that the DAs office was also notifying all the other board members at the same time. 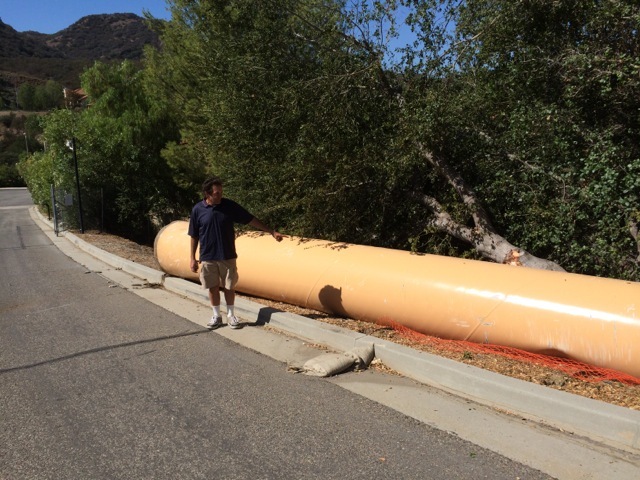 The Brown Act violation was in direct relation to the Boards vote on the controversial Westlake Village water tank. Despite the violation, and discussion at the time that the Brown Act was being violated during the January 14th meeting, Directors Charles Caspary, Glen Peterson, and Lee Renger voted to approve the tank with Directors Barry Steinhardt and Len Polan opposing the project. A Brown Act violation renders a related vote invalid. The District has released a statement that LVMWD’s general counsel doesnt agree with the District Attorneys determination, and accuses Director Steinhardt of not informing the District of the DAs findings.